A word of caution to all those who read my report - Read at your own risk! You may complete a particular hike in a day, but reading my reports is going to take a lot more time than that! I am in a crazy mood right now and I don’t know what I’ll be writing in this report. I may laugh at my own reports later, but then it’s better to write something than nothing. Its Tuesday today & we just had a very amazing hike to Asherigad on Sunday the 27th July 2008. It was my 20th hike with our very own – PODAR HIKERS’ CLUB!! Hiking for me is now a way of life. You start from the bottom…struggle to reach the top…stay there as long as life allows you to and then eventually come back again to where you started from. This is life! But there is a lot more to be learnt from hiking. The most important lesson – to be happy always! There will be ups and downs alright, agreed. But remember “hasta hua jo jayega wohi muqaddar ka sikandar kehlayega.” I am not writing this for anyone but simply because it helps me express my feelings. One reason why hiking has become a part of my life is because it makes me feel good and happy too. Look, it has given me so many friends! Ah! This is the most enjoyable and exciting phase. You are new to the adventure. There are a lot of unanswered questions – what is this adventure all about? What’s it gonna be like? That feeling of mystery is special. This is the phase when each one of us was introduced to hiking for the first time in our life. 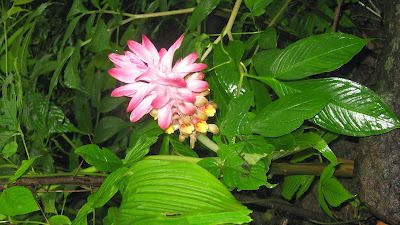 I came across hiking only when I was in FyBcom – thanks to my friend Anurag. Then, I was not a part of the hikers’ committee. So naturally I was clueless about how a hike is planned etc etc. Everything is arranged for you. One just has to pay the membership and hike fees. Initially most people come for hiking without a reason. It’s generally because most of their friends are going – so they decide to join in. Thus, the basic reason is enjoyment. But it is this reason which slowly transforms into an interest, a hobby and it must – hiking is, no doubt, one of the best ways of bonding with Mother Nature. Hiking, I believe, is good for one and all. It brings along so many changes within an individual. Apart from the main activity you come across so many other interests like rock climbing, rappelling, rafting, photography, etc. All these are important for personality development especially because they instill a lot of confidence within the self. Just a month ago, we (read the PODAR HIKERS’ CLUB) had been to Mira Dongar (22nd June 2008). There were about 100 students including past students as well. The club had undertaken tree plantation – which was a very good thing indeed. The hike to Mira Dongar was easy (but lengthier than my reports). But then the waterfall was splendid and it was worth walking 14 kms from Pen to Wyagreshwar temple situated atop Mira Dongar. It was an enjoyable hike. 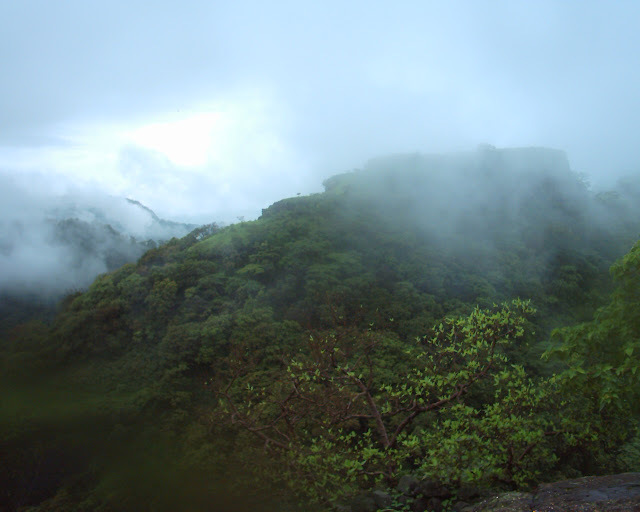 In my first year of hiking I was part of three great hikes – Peb fort, Tak Mak, and Kalsubai (the highest peak of Sahyadris). It is this interest that led me to be a part of the Club’s committee in my second year of hiking. Working for the club was a good experience in itself. Just the previous year I was on the other side and now it was just the opposite. We as committee members had to convince students to come for hikes with the Hikers’ Club. That was a hard task but a nice experience. The second phase is the period when you are the part of the committee. The committee under the leadership of Chairman, Prof. Phadke, undertakes all activities right from deciding the place of the hike, date of the hike, the mode of transport etc etc. There are other posts in the committee as well – that of the Secretary, Treasurer and sometimes the Joint Secretary. These 3 posts are occupied mainly by the senior most students i.e. the TyBcom-ites. The other committee members are juniors. In the first phase you had the freedom, but in the second phase there are responsibilities too. In the second phase you are part of the planning team. You get to know more about the adventure. Not only this, your managerial skills also improve because there is constant interaction with so many people. You are the face of the club. You get to represent it. It is during this phase that you also get to know many past students. They are all amazing people. Amey Sir, Akshay Bhaji, AnanDada, Pralhad, Viraj, Kedar, Abhinandan, RujuTai, – these are just a few of them! I am lucky to have made so many friends! Some of these have served as the Secretary of the Podar Hikers’ Club. I continued with the committee in my last year of college too. I was the Treasurer of the club in TyBcom. My best friend Anurag was the Secretary. We have gone for so many treks together. We even received the Best Hikers of the year award in 2007-08 and that was indeed a great achievement. 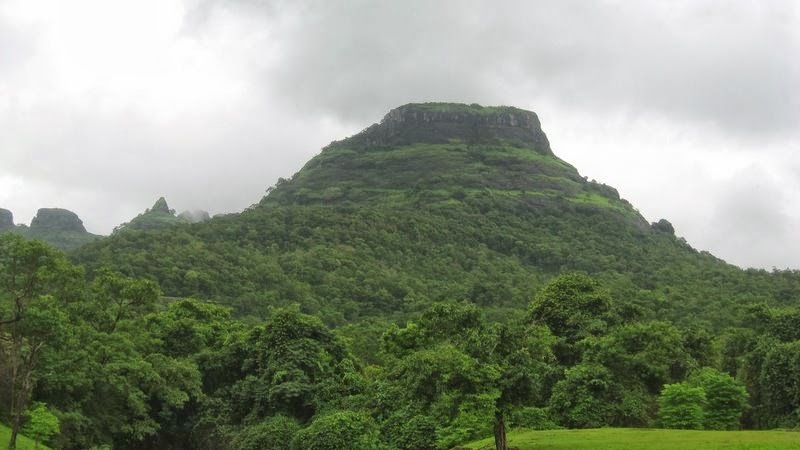 Most of my hikes have come under this ‘phase’: Ajoba, Ghanchakkar, Sagargad, Salher, Mulher, Tung, Gorakhgad, Sudhagad, Manekgad, Harihar, Thanale caves, Rajmachi, Kalavantini Pinnacle, and Kohoj. So, the third phase is that of an ex-student. Here, hiking becomes a passion, but time often acts as a barrier. 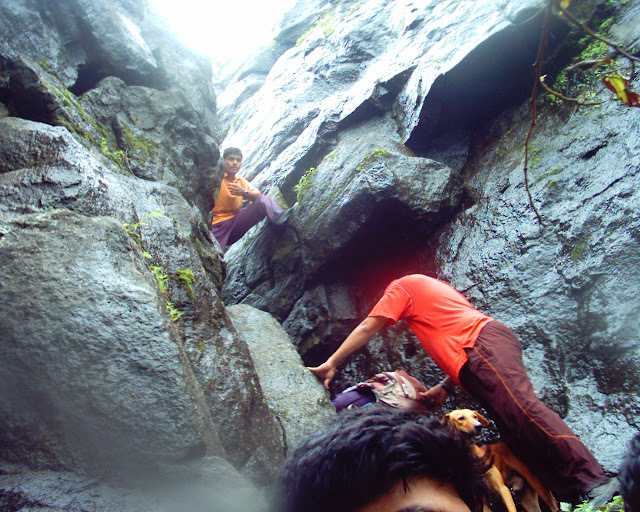 After graduation, I am lucky to have attended all the hikes with the club so far, the recent one being to Asherigad. 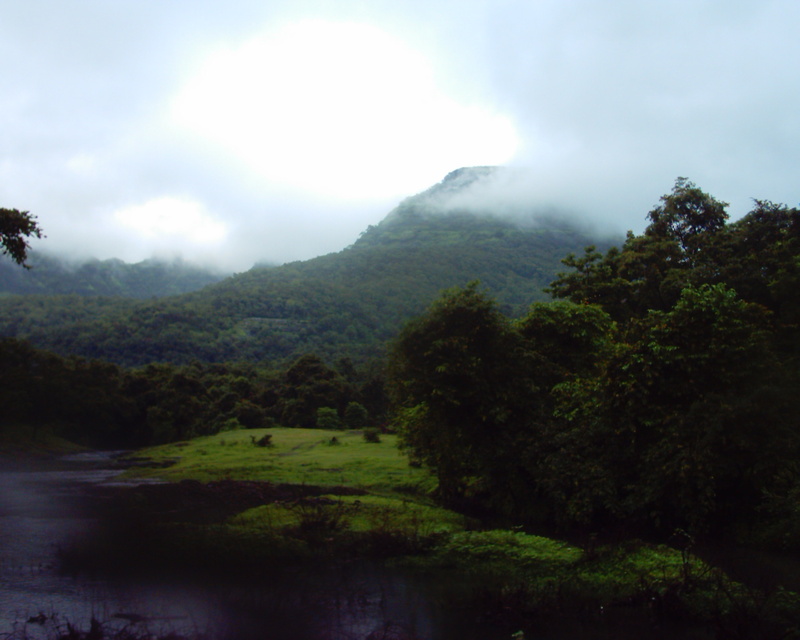 Asherigad was an overnight hike. We were about 40 of us. No one had been there earlier. It was a superb hike. As an ex-Podarite I got a chance to interact with the current students of the college. This place is situated near Manor naka (which is to the north of Virar) on the Mumbai-Ahmedabad highway. 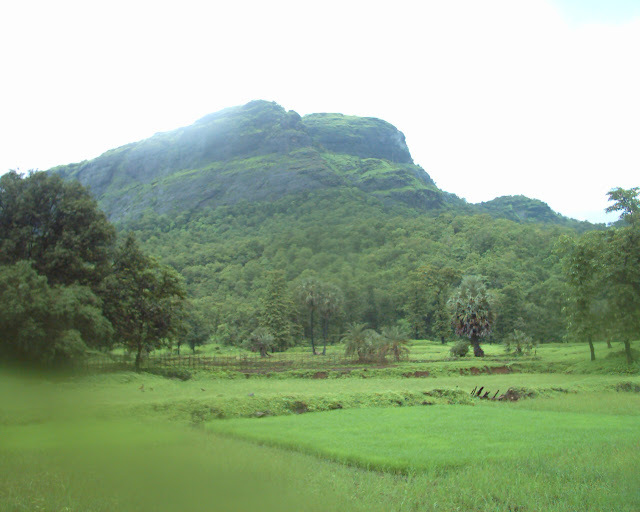 Asherigad is separated from the main Sahyadri range. Another mountain Aadsul lies close by. Kohoj, Tak Mak and Chinchoti waterfall are other famous places in the surrounding area. 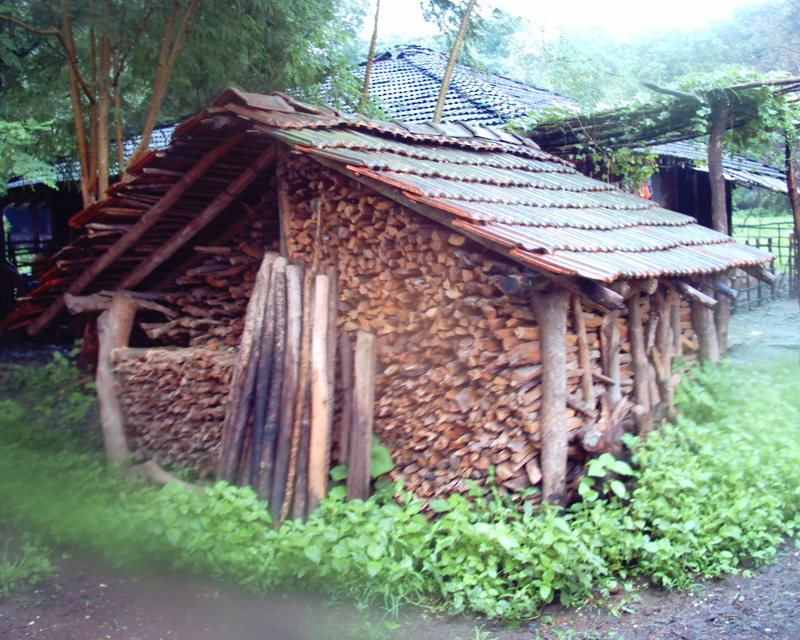 The base village of Asherigad is ‘Khadkona’. We must’ve started our trek at about 7am. On the way, we crossed a stream or two. The land was wet and we were expecting some rain. It was fun walking in the mud. At one moment our shoes would get submerged in the mud and in the next instant we had to cross a stream with knee deep water! The area was densely forested with tall trees. The greenery was pleasing to the eyes. The walk was a good warm up for the actual climb. The air was fresh and the climate was cool. On our way we could hear melodious bird calls. But it seemed to me that some members were not adequately prepared. Some one had a problem with the shoes. Therefore it is important, especially for new comers, to attend the pre-hike meet organised by the committee. Sadly, now-a-days, students hardly get time for such meetings which are but an important part of the hike. It wasn’t raining yet. The terrain was mostly rocky and the rocks acted like steps which made the climb easier. It was a good exercise. The climb seemed so short but we actually took about 2 to 3 hours to make it to the top. But before reaching the top, we passed a rocky patch which added to the adventure. We were accompanied by an unusual companion. By the sound, some of us thought it was a wolf. But it later turned out to be a dog – but a large one alright! It created some minor problems at the rocky patch but was shooed away by Bhaji. The view offered by the top was breath-taking. Nature is so beautiful. We were soon above the clouds. Everyone enjoyed every bit of the beauty. On the top, we came across another group which was descending. By the time I reached there, most of us were already into the lake! Uuh…the water was cold indeed! The pranks started. Everyone was welcomed with ‘water-splashing’. Our targets: Krish and Chinmay – but the latter was successful in escaping…Never mind! I don’t remember the time we started our trek downwards. The rocky part consumed more time after which we sped downwards. To me, the path did not look familiar. It is but natural. Many a times, we are on the correct route but still doubt ourselves. We reached the base village and from there moved towards the stream that we had crossed earlier in the morning. It must’ve been 2 ’o’ clock. The stream proved to be the real entertainer. It made me remind of the slide in the garden that we would visit in our childhood. Well, the logic is simple. The rock bed of the stream was slippery and the flow of the stream was strong enough to pull a floating body along. The credit of discovering this idea goes to Amey. It was fun. Everyone enjoyed like a small child. It was real dhamaal. All the while, some of us headed towards the bus, changed into dry clothes and waited for others to arrive. Till then we relaxed on the roof of the bus. Many of us were short of sleep actually. The return journey was more fun-filled than the journey of the previous night. At vittahal kamath, some of us turned mad (me especially…God knows why!!). It was I guess because we were half sleepy. After the halt, most of us were tired and hence went back to sleep. The climate turned hot as we entered city limits. The thirst awakened us. There was a bit of traffic jam on our way back, but that did not stop us from enjoying. “Killer”, “cows & bulls” and “Clap7” just rocked. A few people got down at their respective destinations and we finally reached college at 9:30pm. We bid each other Good bye. 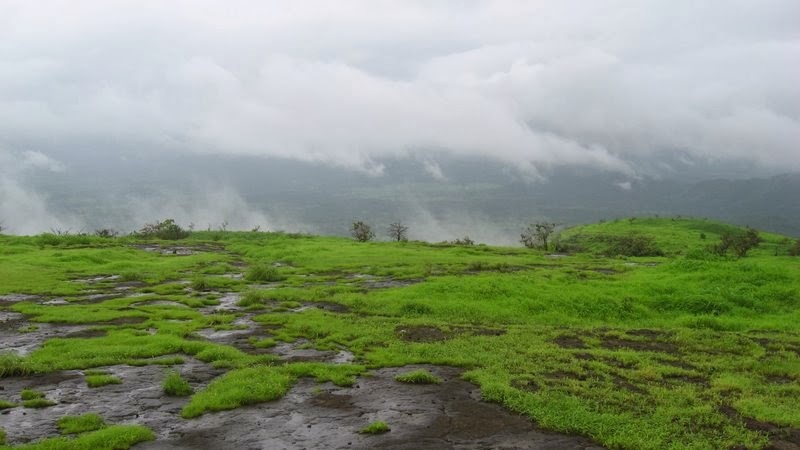 Asherigad was a wonderful hike. Short & sweet I’d say. Another memorable hike for me! Hope to see you for future hikes. 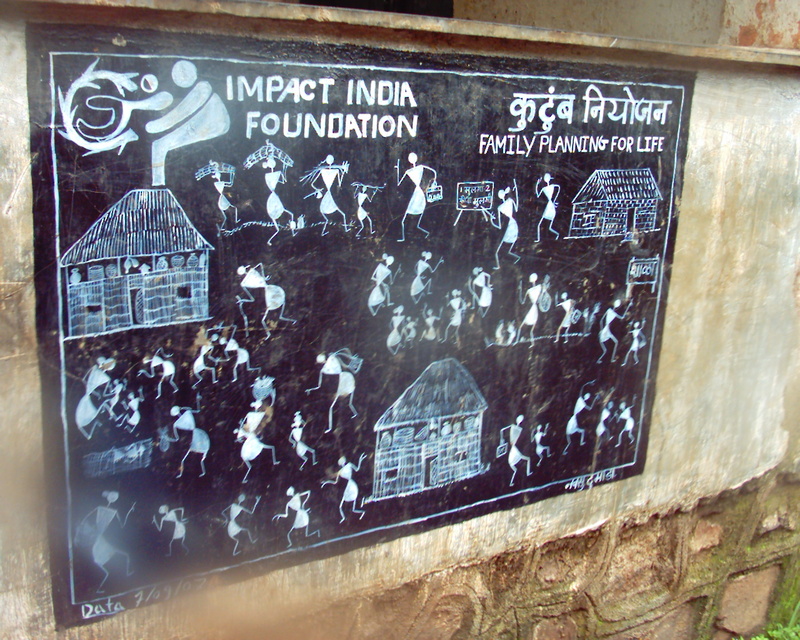 Three cheers to the Podar Hikers’ Club!! !